This little teddy bear can't resist apple pies and cupcakes. Just look at his cheerful expression as he is eating the cake. This mini squishy is super soft, scented and semi-slow rising. 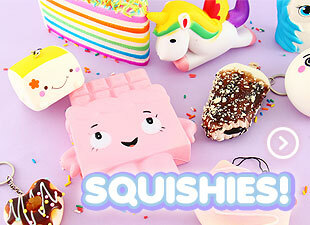 Use this cutie squishy as a decoration, for cuddling and stress relief or just for fun & games!